Over a national Japanese holiday, what do I decide to do…go to the Edo-Tokyo museum along with every other human being in a 100 mile radius. Talk about crowded. I imagine it wouldn’t have been any more difficult to view ancient artifacts in the middle of Shibuya crossing as it was in this museum. But besides the huge masses of people, the museum was great. It opened in 1993 and has been undergoing a huge renovation to the permanent exhibition. With the Olympics in 2020 taking place in Tokyo, the museum is ‘amping things up’ to draw in the throngs of people that will be in town (although from the looks of the crowds the day I was there, that shouldn’t be a problem). Overall it took about three hours to go through and see everything—it is really big. If it wasn’t so crowded, it probably would have taken less time, but I also did the free audio tour, so that sucked up some time. I highly recommend audio tours by the way. I think you learn so much more, because frankly I am not reading every placard and sign in a museum. I’d rather have my own personal tour guide telling me everything I want to know at my pace and have the luxury of fast forwarding thru parts I don’t really care about. 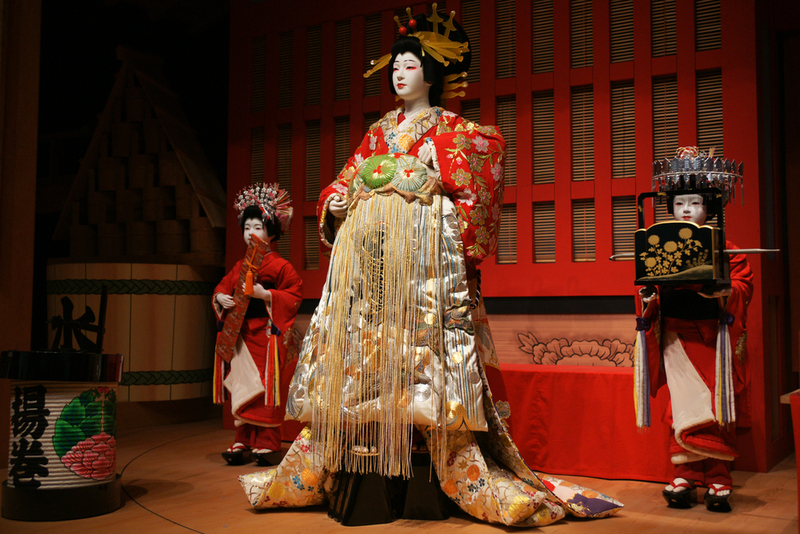 The museum is famous for their little models that depict Tokyo thru different eras of history. Tiny little replicas showing the people in the city living their day to day lives. In typical Japanese style, they are super kawaii (cute)! The amount of detail in each of these itty-bitty dioramas is pretty unbelievable. I just wish there had been more info on the making of the models, like who made them, how long did it take, was everything in it all custom or can you buy pre-made edo period townspeople? And I’m dying to know how you keep it clean! How can you dust something like that? Besides just the super cute tiny towns, the museum had lots of other cool exhibits, like the kabuki theatre, and a whole area talking about the red light/entertainment district. There were a lot of “hands-on” exhibit areas too, that are great for germs…no, KIDS, I mean kids! They have special exhibits too that change every couple of months. The special exhibits cost quite a bit extra, are only in Japanese, and are pretty small. I paid for the one that was currently there on Tokugawa’s Castles—not worth the $$, but now I know. However, if they ever have a special exhibit on the tiny town models…that I’d pay for!